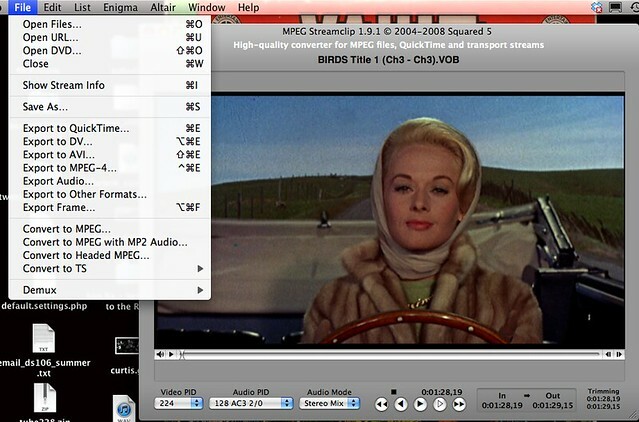 Update: The MPEG Streamclip Beta allows you to grab the video right off YouTube and trim it down right there. Pretty powerful, and it comes highly recommended. Here are some more details if you are interested. 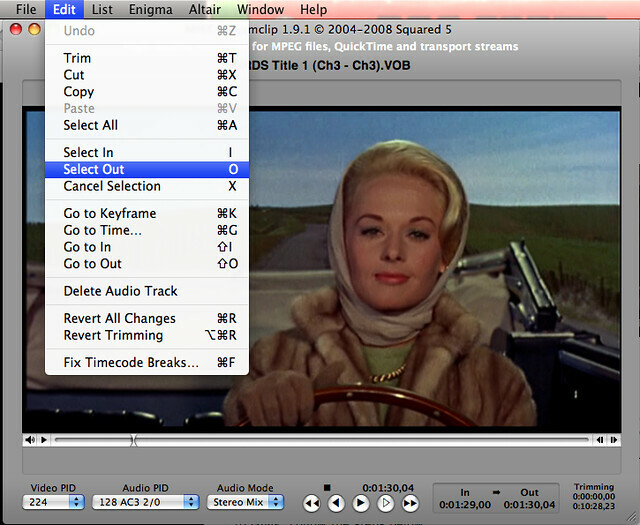 And here's an video tutorial for using MPEG Streamclip and GIMP as well. The first thing you need to do is download the scene from the film/TV show you want to create an animated GIF from. You can download clips from YouTube using something like the Fastest YouTube Downloader. 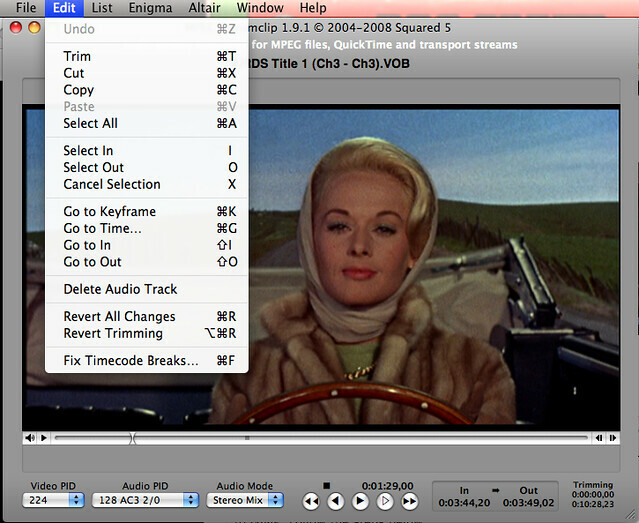 Alternatively, if you have the DVD of the media you want to use you can rip it with free software like Handbrake (available for PCs, Linux, and Mac) or DVD Fab (for the PC). 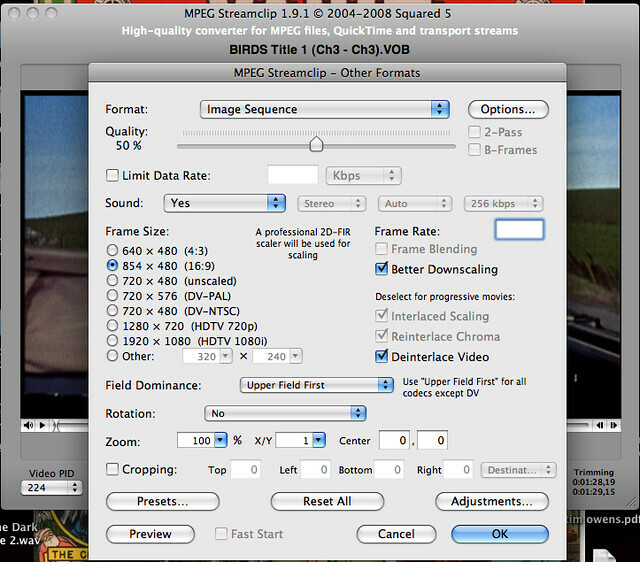 Keep in mind that there are many other programs that can do this for Macs, PCs, and Linux---do a quick search including the OS you are using along with the term "ripping a DVD" and you should find a fair amount of free options. Feel free to share you discoveries in this wiki. 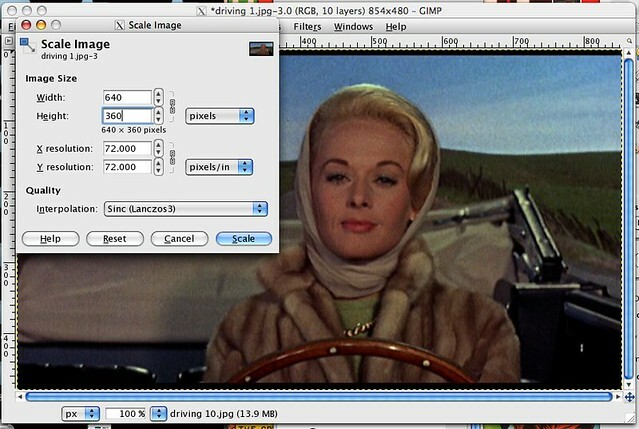 Next you need to export the image sequence from MPEG Streamclip so you can bring it into GIMP and finish the deal. 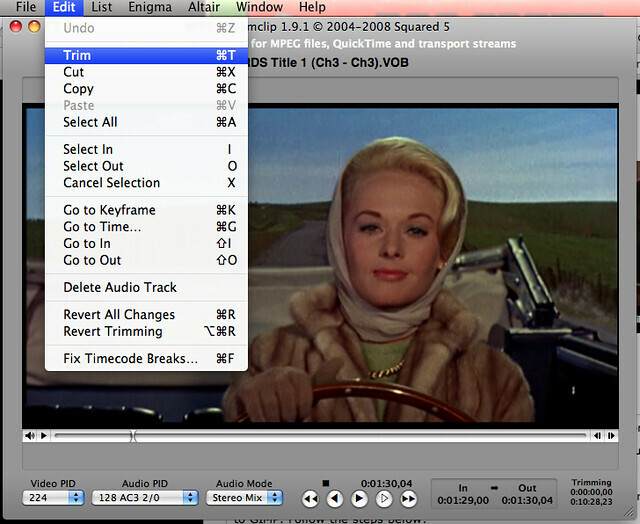 Below are a series of screenshots that give you an idea of the settings I use when exporting the image sequence. After that, you can export the image and have it download to a location of your choice (I usually put it on my desktop and work from there). One thing to keep in mind, if you have more than ten images chances are your GIF is going to be quite big in terms of file size---keeping the file size manageable is one of the hardest parts of creating a good animated GIF, and I fail at this often. 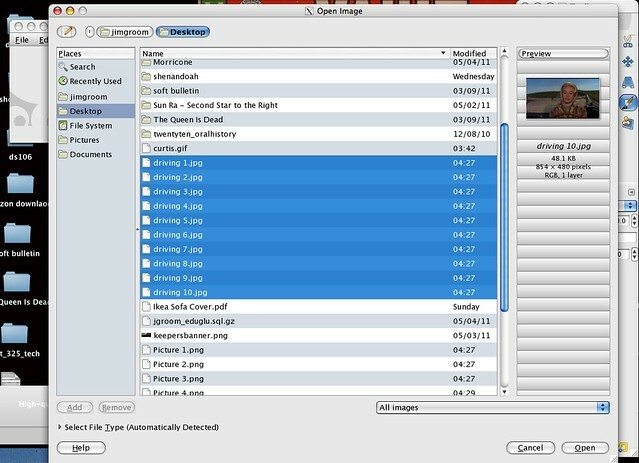 First you need to import all your images as layers. 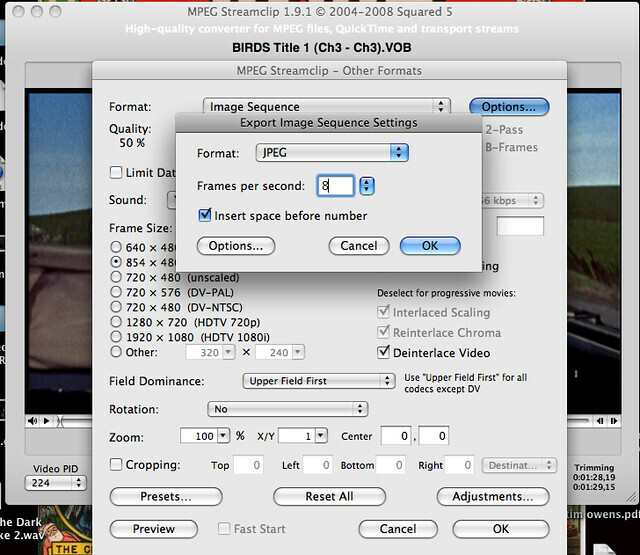 They should be numbered automatically by MPEG Streamclip, and GIMP will order them according to those numbers. After that, select all the images in the dialogue box that opens by hitting Shift and using the mouse to select all your images (you might also be able to do this with Control/Command select). 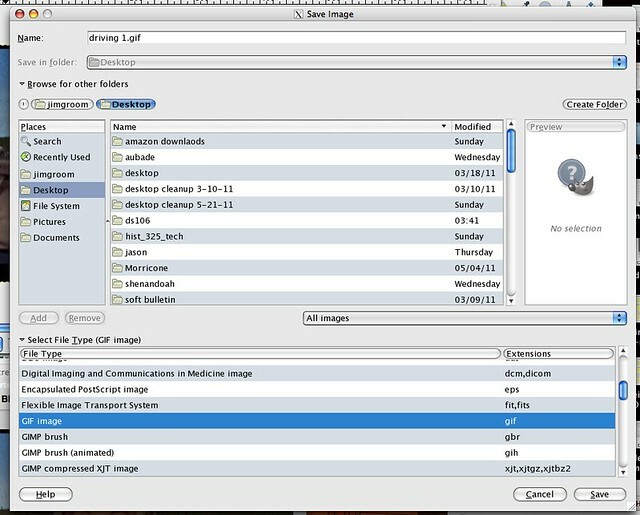 Once you have the images selected you will now be able to scale the image (if you need to). Scaling the image basically means making it smaller. My original image resolution was 854x480, and I scaled this back to 640X360. When you change the width and then click in the height field it should automatically change the height to the proper, corresponding value. Scaling the image will make it a bit smaller, and also may give you the ability to customize it for your blog, Tumblr, etc. In my blog theme images seem to be best at 640px width. 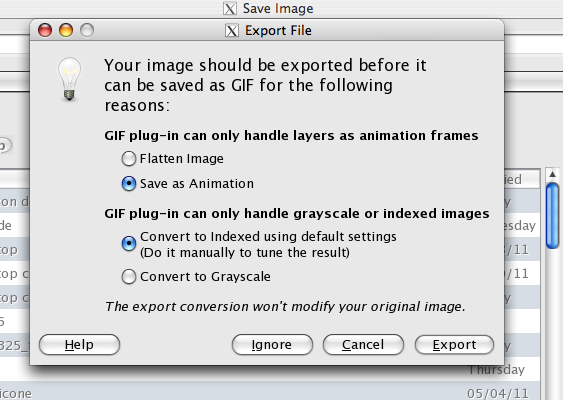 It is highly recommended you preview your animation before saving and exporting your GIF. To do this go to Filters-->Animation--->Playback and click on the playback button. Also, you can use Filters-->Animation--->Optimize (for GIF) to optimize your GIF through further compression, which is recommended. Keep in mind that after you compress the GIF it will be put in a new GIMP window with the file name untitled. After that last step you should now have your animated GIF, you can see it in action by dragging it into any web browser on your machine. 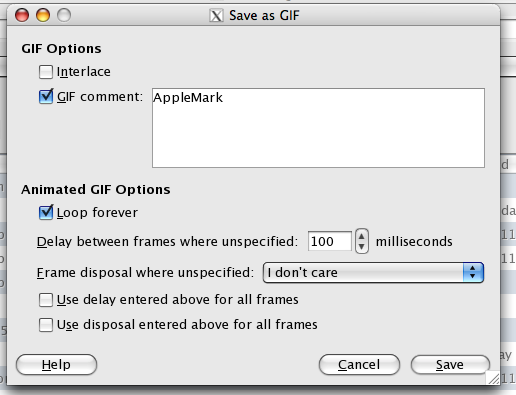 One thing you may want to do is check how big your animted GIF is. If it's over 1 MB is may load slow for folks. That said, I wouldn't kill yourself over this, figuring out size and making a good animated GIF comes from practice. Play with optimization through tweaking the settings in the tutorial above. Also, under the Filters-->Animation menu there are some options for Optimizing animations. Problem is I haven't gotten this to work where it makes a real difference in terms of the file size. I'll continue to play with that, but would love any advice from someone who may have figured this out already. This page was last modified on 15 January 2014, at 21:23. This page has been accessed 35,038 times.